Dr. Edwards offers biofeedback and neurofeedback training to children and adults for stress reduction and enhanced performance training in sports, business, the arts and the art of daily living. He also offers neuro-biofeedback training to individuals with clinical issues such as ADHD, headaches, stroke, anxiety, closed head injury, PTSD, and spectrum disorders. He is a Senior Fellow of the Biofeedback Certification International Alliance, certified in neuro-biofeedback since 1998. He is a member of the International Society for Neurofeedback and Research and the Association for Applied Psychophysiology and Biofeedback. For years Dr. Edwards served on the board of directors of the Northeast Regional Biofeedback Society and as the president. 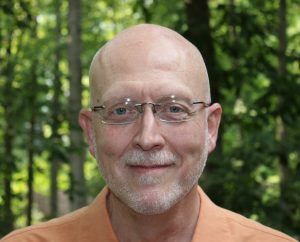 His publications include chapters on the clinical applications of biofeedback and meditation for migraines and fibromyalgia in the Barnes and Noble Health Basics series of books and articles on biofeedback and mindfulness meditation. He has worked with a former Olympic coach, using biofeedback to train elite swimmers from the US and Europe. Dr. Edwards was awarded his PhD in Psychoeducational Processes, clinical psychology track, in 1986 by Temple University, where he was honored as a University Scholar. He was the vice-president and assistant executive director of a private Jungian psychiatric treatment center for young adults and has been in private practice since 1989, offering transpersonal psychotherapy and meditation training. In 1997 he began practicing biofeedback and neurofeedback. He was board certified in neurofeedback by the BCIA in 1998. He has been on the faculty of New York Medical College as a clinical instructor in the Department of Family Medicine since 1998. Dr. Edwards was certified in hypnosis (CHT) in 1991 by the New York Society for Ericksonian Psychotherapy and Hypnotherapy (NYSEPH). Dr. Edwards was recruited by Cincinnati Children’s Hospital to join their staff in July 2010, as the Integrative Care Clinical Program Manager to develop an integrative care outpatient program for children. Afterwards, he returned to private practice, opening an OPTIMAL MIND® Training center in Cincinnati where he focused on offering biofeedback, neurofeedback, peak performance, mindfulness, and meditation trainings until May 2013. Since then he has been back in New York offering these services in his Armonk office. He is licensed by the state of New York (LMHC) where he also offers transpersonal psychotherapy and spiritual direction to adults. Dr. Edwards has an extensive background in yoga, mindfulness and meditation. He has run meditation centers and an ashram (a residential meditation center) in the United States and he has taught at a variety of institutions in Canada, India and the United States. He has taught meditation internationally for over 40 years and trained teachers in numerous meditation approaches. He has offered seminars on the science and art of meditation at hospitals, universities, businesses, and professional conferences. Dr. Edwards is the founder and director of the non-profit educational organization the Anam Cara Meditation Foundation located in Armonk, NY. It is dedicated to teaching meditative practices from a variety of approaches to any one who wants to gain the tremendous benefits that meditation offers. He offers bi-weekly meditation sessions open to everyone in Armonk sponsored by the Anam Cara Meditation Foundation, in addition to courses and weekend retreats. He has taught thousands of people to meditate. If your group would like to arrange for a program tailored to its needs and interests, please contact OPTIMAL MIND® and Dr. Edwards.